**£97.50pppw** ALL BILLS INCLUDED** CLOSE TO POPULAR ECCY ROAD*( SHORT WALK TO THE CENTRE - NO TAXI NEEDED** BRAND NEW GYM INCLUDED **SECURE FOB ENTRY** NOW VEIWING FOR 2019-2020 - DON'T MISS OUT! Part of West One Student Accommodations extensive portfolio of properties & developments is this exclusive development which comprises of 3,4,5,6 & 7 bedroom self contained apartments. 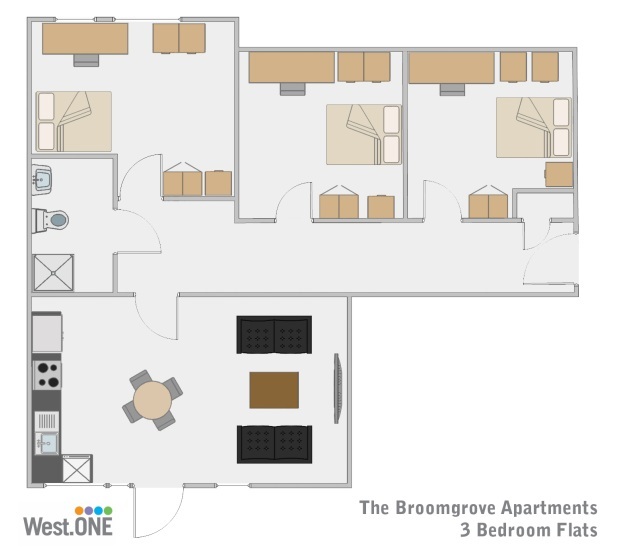 Located just off Clarkehouse Road on the top of Broomgrove Road, previously part of SHU's campus, this exclusive block of apartments are obvioulsy perfect for anyone at the Collegiate Campus, but are also very close to Hallamshire Hospital & Glossop Road & West Street. £97.50 per person per week - including bills (gas / electricity / water / internet)! All apartments are finished to our usual high standard of specification & include - lift access to some. Price is all inclusive of: Rent, Internet, Gas, Electric & Water. 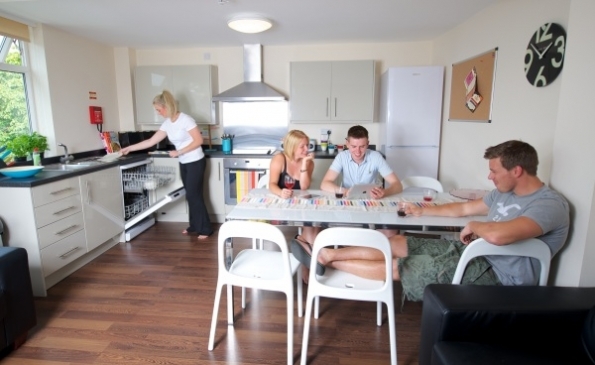 Ground floor communal areas will have lift, self service launderette room, along with a communal games/TV. Now available for 2019-2020, if you would like to arrange a viewing or for more information please call us on 0114 2134780. Price per person per week £97.50 including all bills!! !